PUNE: Promising state-of-the-art facility in Neonatal Intensive Care Units (NICU), Motherhood Hospitals, a leading network of women and children's hospitals, today said it would launch its fifth facility in Bengaluru early next year. Motherhood Hospitals chief executive officer Vijayarathna V said the group's multiple new hospitals are under execution across the country. "We will be launching the fifth centre in South Bengaluru by the beginning of 2018. The chain of hospitals will foray its presence in cities like Mumbai, Pune and Chennai by end of the financial year," Vijayarathna told reporters here. The company was funded by leading private equity fund TPG Growth in 2016. The need for investing in the NICU was felt in the wake of high neonatal mortality rate in India. 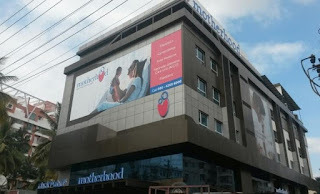 It has invested Rs 15 crore for the expansion of NICU. The company has turned its ambulance into ICU onwheels to ferry patients from places as far as Ballari, Raichur, Chitradurga in Karnataka, Kadapa in Andhra Pradesh and regions from neighbouring Tamil Nadu also to its Bengaluru facilities. Vishal Bali, the executive chairman of Asia Healthcare Holdings and senior advisor - TPG Growth, said "Motherhood Hospitals have transformed to provide high-end obstetrics and gynaecology services." "The addition of Neonatology and Reproductive Medicine enables each hospital to provide comprehensive clinical services to women and children," he added.